Iron Tin Tub is made with optimum grade raw material suitable to be used for separating small particles from big ones. 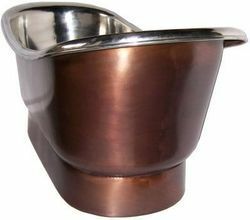 Due to rich industry skill and experience, we have been accomplished to provide our valued customers the best quality range of Copper Wash Tub. 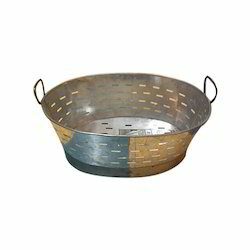 Iron wash tub round with handle finish antique galvanized. we are the leadiing manufacturer and supplier of Tubs in chennai , we have various colors and sizes available. Backed by our adroit team of professionals, we are able to provide our clients with an assorted gamut of Plastic Wash Tub. Product Details: Material: Plastic Color : Available In Many Colors Product Description: With our expertise and trustworthiness, we are engaged in offering an optimum quality range of Plastic Washing Tub.